The “Newport Briefcase” Inspired by hot summer Fridays, when you shut everything down at the office and sprint out the door to the weekend. 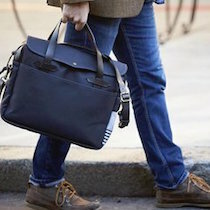 The “Newport Briefcase” from Longwharf Supply Company is light weight and built to last! 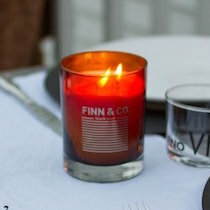 Warm Glow Candle This is a * LIMITED * item from Maine-based Finn & Company! The warm amber glass creates a simple and elegant rustic tone, allowing it to easily blend into any room in your house. Hella Cocktails Bitters Kit Craft your very own bitters with this DIY gift from janegee! 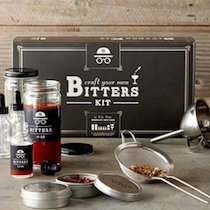 The kit includes a handsome assortment of essential tools and a gourmet selection of herbs, spices, bittering agents, and dried fruit peels! 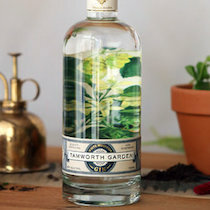 White Mountain Gin Tamworth Garden White Mountain Gin is a true New Hampshire essential that hails from the mountainous region of Tamworth, New Hampshire. The unique package design reflects the intricate flavors of seasonal herbs and botanicals within. Available locally here. 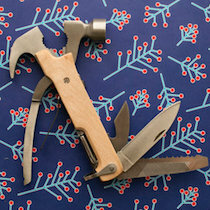 Multi-Function Hammer Tool Perfect for the handyman in your life. Now he can take his all-in-one tools everywhere in style! Sold at Daytrip Society. 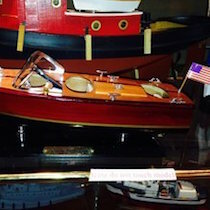 Chris Craft Triple Cockpit Boat Model Highly detailed, pre-assembled, and ready for display! Available at Tugboat Alley. Fitness Apparel Gift your guy with something he may not normally purchase for himself — high-end fitness gear from MISSION Portsmouth! Available at the gym. 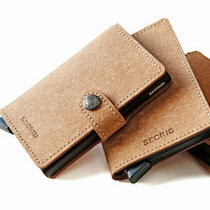 Secrid Wallets Imported from Holland, these fashionable wallets are highly functional! Store credit cards only and keep your identity safe with Secret’s security technology! Brand new at Inside Out.